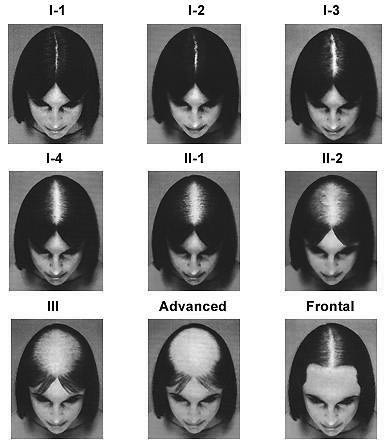 In men, male pattern baldness (MPB) or Androgenic Alopecia (AGA) can be identified and defined visually. 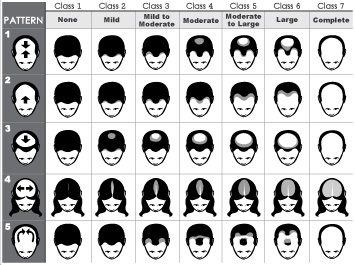 A study published in December, 2004 entitled “Validity of self reported male balding patterns in epidemiological studies” examined and compared the accuracy and reliability of the assessment of balding patterns when conducted by “trained observers” verses assessments of balding patterns conducted by “men” who are experiencing the balding themselves. 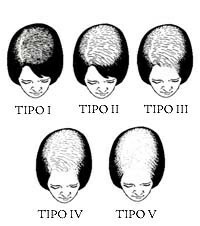 A related article posted today 9/18/2011 Male Pattern Baldness: classification and Incidence – by NORWOOD, O’TAR T. MD features a PDF document with the full text by Dr Norwood himself and his scale. The Hamilton Norwood Classification Scale was created in 1975 and is shown next.